She likes to read, draw and swim. She takes dance lessons (hip hop) and plays on a basketball team. She has a younger sister who is the bomb. She loves her tiny dog Chiquita. Her favourite food is rice (brown and white)—in sushi, fried or just plain steamed. Her favourite subject in school is math. She has celiac disease. 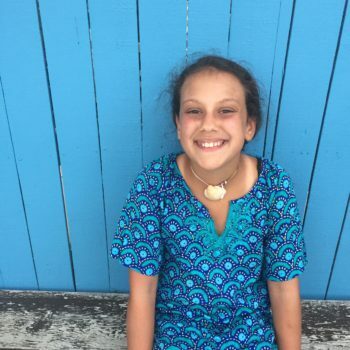 She was diagnosed when she was three. That’s Lily, always making lemonade out of lemons. See for yourself. It’s a disease that affects your gut [specifically your small intestine]. What happens is when you eat gluten, it doesn’t sit well with your gut and your body gets angry and tries to get it out. Some people have symptoms and there are many different kinds of symptoms—I throw up, get bloated and get bad stomach aches. Some people don’t get symptoms, but it’s still doing damage inside of them. 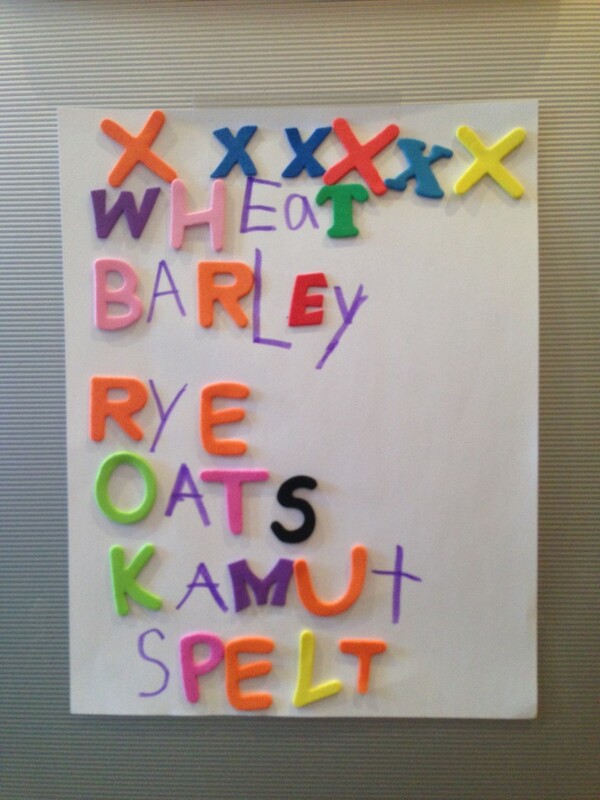 It’s a protein that’s in found in certain grains, like wheat, rye, spelt, kamut and barley. When I was younger my mom and I made a sign out of stickers with these words and taped it up in the kitchen to help me learn how to read them. It’s really important to read ingredients and not just assume something is safe to eat, unless it’s a fruit or vegetable of course. Do you remember when you found out you had celiac? Posted in Bakeries we ❤, Celiac disease, GFG speaker!, Lily's corner, Restaurants we ❤, Tummy love. 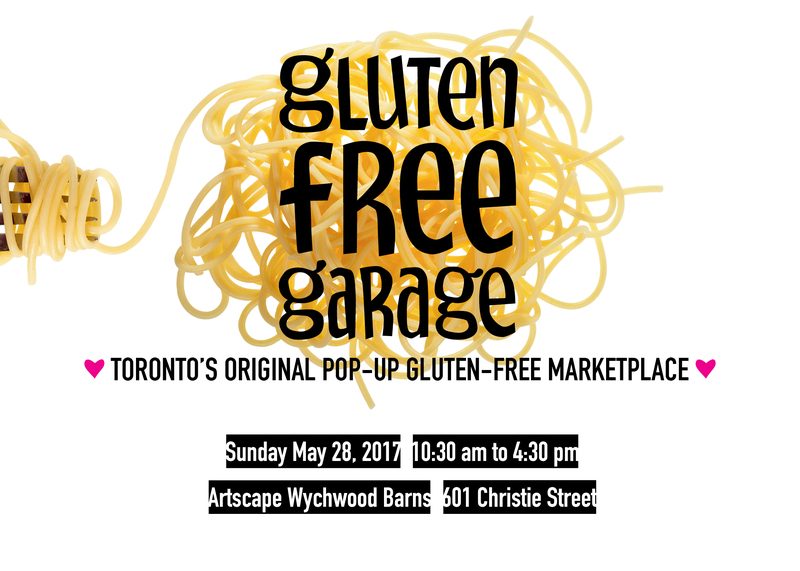 6th annual Gluten Free Garage! 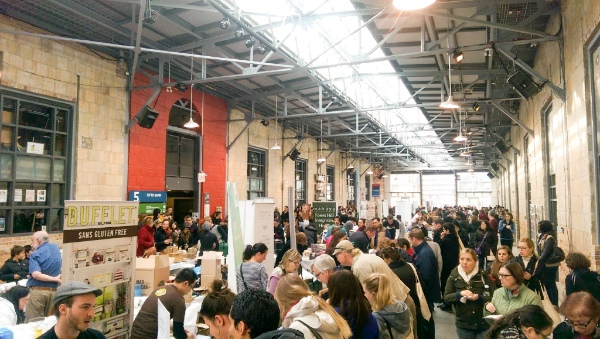 Toronto’s highly anticipated go-to gluten-free event is a prominent playground for gluten-free people looking to discover new brands, try different foods and meet fellow foodies. Carefully curated for people with celiac disease and gluten intolerance, GLUTEN FREE GARAGE places quality and taste at the forefront, allowing it to be experienced by all food lovers as the perfect, most delicious way to celebrate Celiac Awareness Month. HERE’S A TASTE OF WHAT TO EXPECT AT #GFG17! 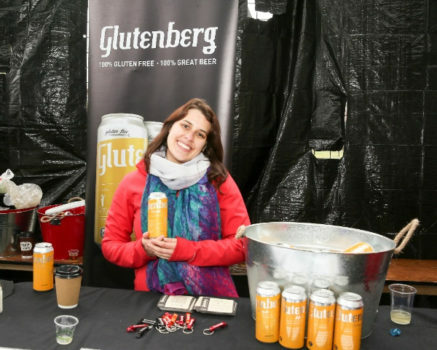 More than 60 handpicked vendors (mostly local and artisanal) will offer attendees a wide variety of gluten-free options appealing to different tastes. Indulge in freshly baked goods—such as bagels, scones and baguettes—that you never thought could taste so good. 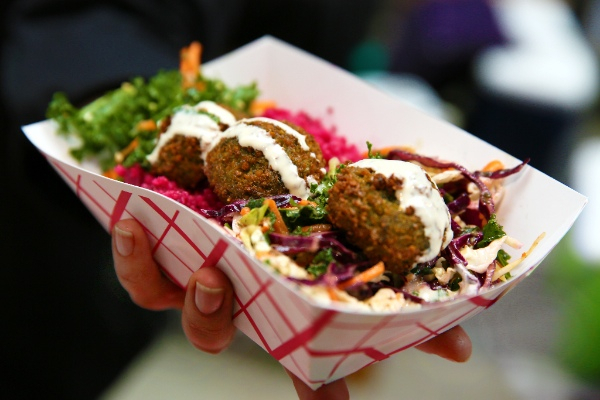 Enjoy savoury made-to-order foods—like falafel (pictured here from My Little Chickpea), tacos and dumplings—for lunch. Sample and purchase sweet and savoury snacks, sauces, soups, pizza, pasta, gelato and even skincare! Not just for people with celiac disease and gluten intolerance, GLUTEN FREE GARAGE offers something for everyone on the gluten-free spectrum—meat eaters, vegetarians and vegans alike. 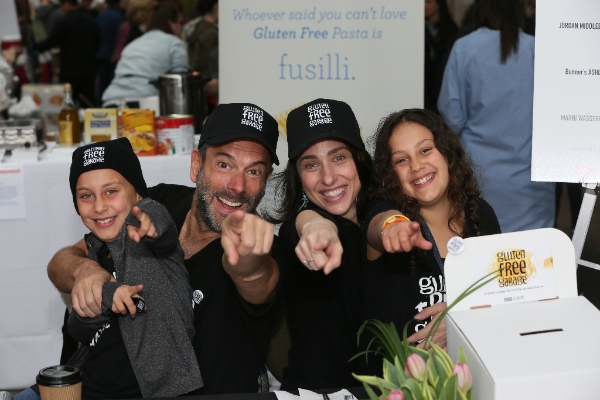 Come hungry for a delicious day of one-stop shopping and taste for yourself how gluten free has come a long way, baby! Take advantage of the opportunity to eat al fresco from a food truck on the Wychwood Barns grounds. Participating trucks include 50 Pesos and Bar Ape. Those who are 19+ can partake in Libations in the Courtyard, featuring tastings from various beer, cider and vodka brands. There is still space at the bar for additional beer and cider brands. 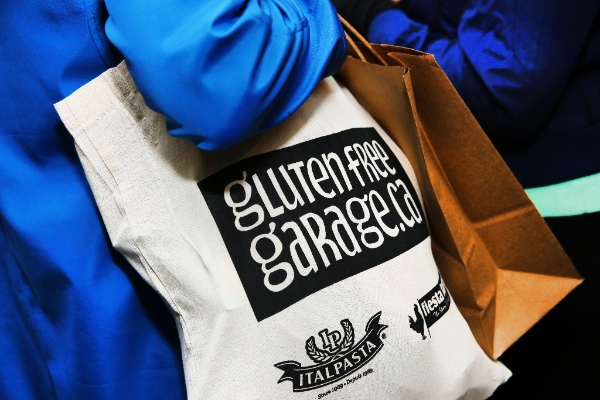 Send a note to info@glutenfreegarage.ca for information on how your brand can participate. 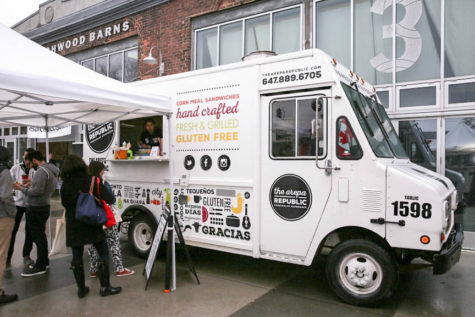 Not all brands are able to exhibit at GLUTEN FREE GARAGE, so there’s an opportunity to offer festival-goers the chance to discover and try new products through sampling. Ask about how your brand can get involved. Take a break from eating and tune into a talk or live demonstration in The Stop. 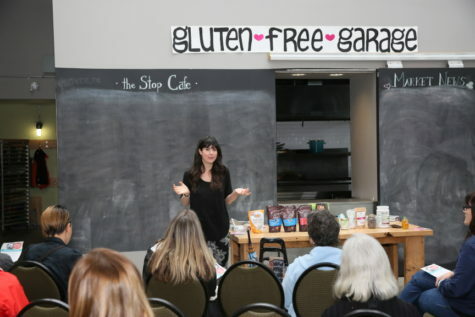 Past speakers include holistic nutritionist Joy McCarthy, Bunner’s Bakeshop cofounder Ashley Witting, gluten-free expert Kathy Smart, and celiac advocate Jordan Middlebrook, aka King Gluten Free. This year’s speakers will be announced soon. The success of GLUTEN FREE GARAGE is made possible with the continued support of our sponsors. 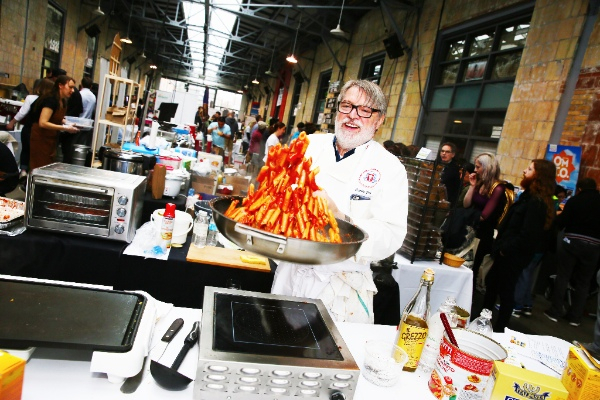 This year we welcome back Italpasta, Neal Brothers and Fiesta Farms and are excited to have Ste. Anne’s Bakery on board! Thanks also to the Gluten-Free Certification Program for their ongoing support! Posted in Celiac disease, GFG updates, Tummy love. In grade 8, when I made friends with the new girl at school, I discovered a culinary sensation. Every Friday after school my BF Bonnie and I would race to her house and wait in her kitchen for the delivery. Her grandfather Jimmy would pull up in the four-door sedan to drop off the food that Bubby Katy and her sister-in-law Rosie had spent all day cooking and baking. Jimmy would shlep boxes from the car filled with still-hot home-cooked food from the old country covered in tinfoil for Friday night dinner. The women had cooked the meal and it was the same every week: chicken soup, goulash, chicken paprikash, Bubby’s chicken (breaded chicken strips) and Rosie’s squares (a dessert made from ground almonds and chocolate, referred to by those in the know as simply “Rosie’s”—to this day, I dream of Rosie’s). It was his greatest joy to drop off this food for his children and grandchildren (and his granddaughter’s bestie). 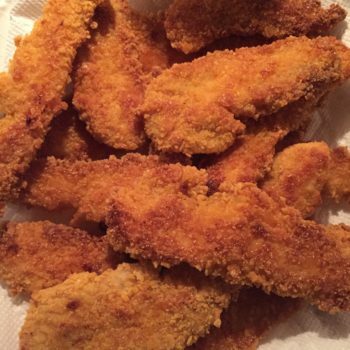 Bubby’s Chicken was everything: tender on the inside, crunchy on the outside, flattened and crispy-coated strips of chicken that had been cooked in a vat of oil and then patted dry with paper towel. I will never taste a chicken finger like that again. 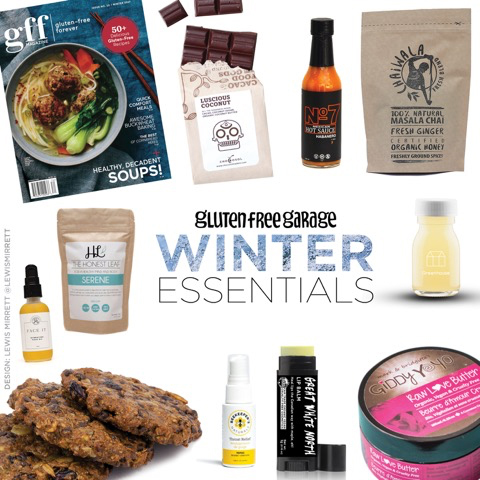 Our list of 11 must-have products to keep you going all winter long. All are GF, of course! And all except for one are made in Canada. Posted in Bakeries we ❤, Happiness is..., Products we ❤, Tummy love. This pasta salad is perfect for vegans and vegetarians. Preheat a grill over medium high heat. Toss red pepper, zucchini, cherry tomatoes, and eggplant with 1 tablespoon olive oil, and salt and pepper in a grill basket. Arrange basket on the grill and cook until charred and softened, about 15 minutes. Meanwhile, cook pasta in a large pot of boiling salted water until al dente, about 6-8 minutes. While the pasta cooks, purée parsley, basil, white wine vinegar, garlic, walnuts, chili flakes and season with salt and pepper. With the motor running drizzle in remaining olive oil. 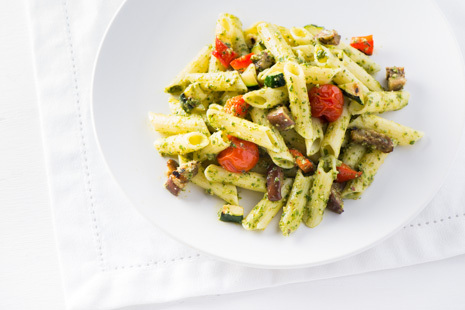 In a large bowl toss together cooked pasta, grilled vegetables and pesto dressing, serve warm or room temperature.